Along with local, national and international partners and sponsors – we are very pleased to be working closely with a number of community organizations! They include the following. To view an online exhibit of the Holy Ghost Parish’s recent centenary exhibit, follow this link. And more information is available on Nova Scotia’s Heritage Trust site here. *Kiwanis Club of Cape Breton – Golden “K” who are also sponsors of the event! The Kiwanis Club of Cape Breton Golden”K” is a group of retired persons whose purpose is to provide support within the community, especially to children, to seniors and those who are disadvantaged or at risk. The club has approximately 65 members and their support is both financial and in kind to deserving groups . The Cape Breton Regional Library Board and staff are pleased to support and take part in the Singing Storyteller Symposium. The Library believes it is necessary to recognize and promote Cape Breton’s rich storytelling heritage. To foster storytelling in our region, the Library developed a Storyteller-in-Residence program in 2011, the first in Atlantic Canada. The CBRL Storyteller-in-Residence has taken part in many festivals and events and the Library has developed storytelling workshops and events around Cape Breton Island. The Library supports and encourages literacy and life-long learning through the provision and delivery of quality programs, books and other materials which meet the needs of community members. 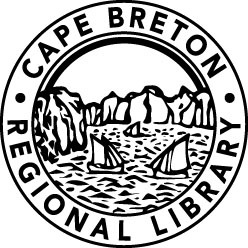 Through twelve library branches and two bookmobiles, the Cape Breton Regional Library has helped to support lifelong learning in the Cape Breton Regional Municipality and Victoria County since 1950. New Dawn Enterprises Limited is a private, volunteer-directed social enterprise dedicated to community building. It seeks to identify community needs and to establish and operate ventures that speak to those needs. New Dawn’s work in the community is guided by its mission and vision. Its mission is to engage the community to create and support a culture of self-reliance. Its vision is a self-reliant people living in a vibrant community.